Hand crocheted Angels. 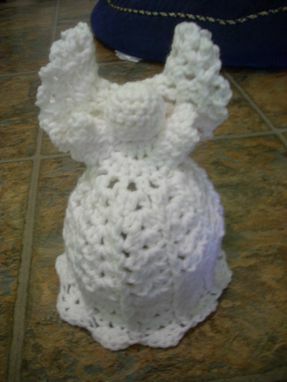 These are free standing and also look great on the top of a Christmas tree. Can be made in single or multiple colors. 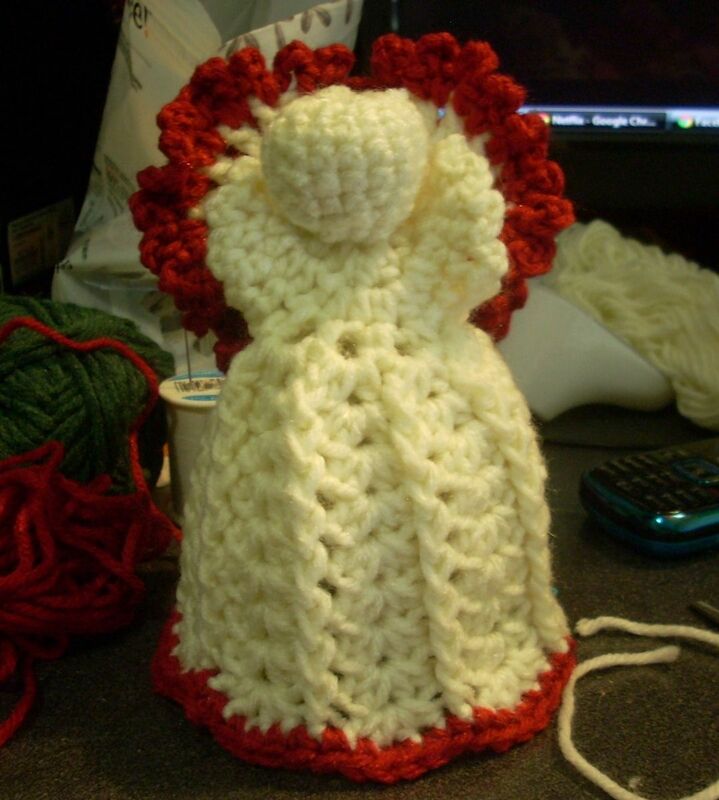 8-12 inches high depending on the type of yarn used.